Statement of the co-rapporteurs of the Parliamentary Assembly of the Council of Europe regarding the signature of a treaty for “alliance and integration” between the Russian Federation and the occupation regime of South Ossetia. The co-rapporteurs of the Parliamentary Assembly of the Council of Europe (PACE) for the monitoring of Georgia, Michael Aastrup Jensen (Denmark, ALDE) and Boriss Cilevics (Latvia, SOC), today condemned the signing of a treaty for “alliance and integration” between the Russian Federation and the occupation regime of South Ossetia. 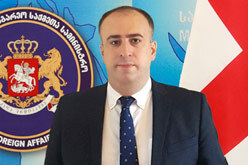 “As was the case for a similar treaty between Russia and the self-proclaimed Republic of Abkhazia, this agreement violates international law and is another example of the creeping annexation of the Georgian region of South Ossetia by the Russian Federation. Instead of building bridges between people, it increases divisions. This can only be condemned”, they said.